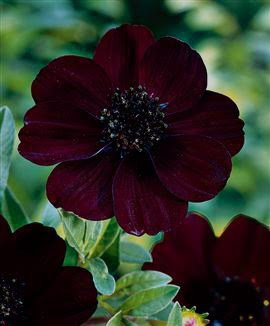 I have a thing for a flower called the chocolate cosmos. Curiously, I don't like to eat chocolate (I know, you think I'm nuts) but I do love this flower. If you've never seen one, it looks like the one above, often even darker. And it smells exactly like chocolate. You usually start to see them in specialty flower stores in Dallas in late spring through the summer, such as Avant Garden. I've even seen them at Whole Foods, although you may need to request them. 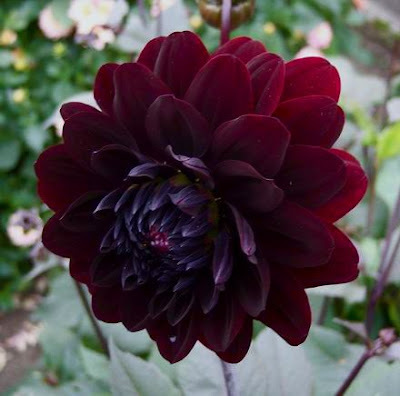 While digging around on the Internet a few weeks ago, I stumbled on a farm in Langly, Washington called The Chocolate Flower Farm that specializes in growing chocolate cosmos and other dark, chocolate-hued flowers. So, I ordered a 4" pot. I couldn't wait! I also ordered this "Single Black Aquilegia" which was grown at the farm from hard-to-find seeds brought back from England in 2005. Goody! And, I got this amazing Chocolate Karma Dahila. Instead, my flowers arrived via Fed Ex on Friday in nursery pots like these. And the dahlia bulbs arrived in a zip lock bag full of dirt! Panicked, I called the Chocolate Flower Farm and asked them what I should do next. Marie Lincoln answered, and talked me through how to plant them. Basically, just put them in a big, deep pot full of potting soil, she said. 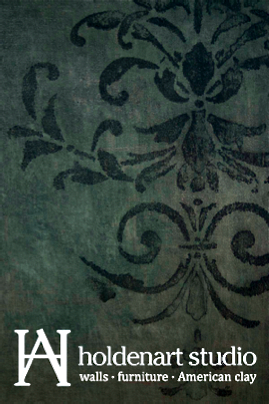 "You'll have your own little chocolate pots," Marie told me with delight. 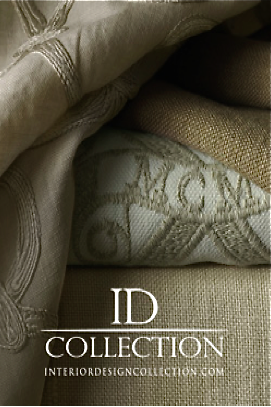 Marie is the owner, along with her husband Bill Schlicht. I couldn't resist, and asked her how she ended up with a flower farm that specialized in chocolate flowers. It's not exactly an everyday thing. "We moved onto the farm four years ago, and I wanted to plant a specialty nursery, but I needed a specialty," she said. 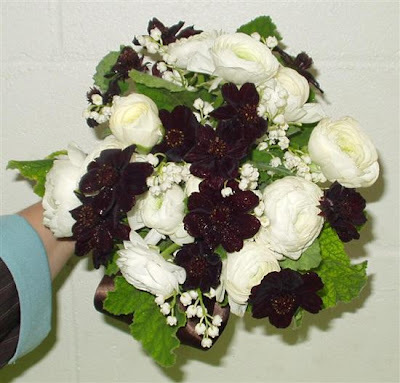 "I got the idea to specialize in dark maroon flowers, because I have English gardens with a lot of pastel flowers. I wanted a color that wasn't too bright to break up the pastels. At first the idea wasn't meant to be chocolate flowers, but Bill loves chocolate and I thought I could get him to work harder if we called them chocolate. It worked," she said, and added: "People wouldn't be as interested in my plants if I called it the Maroon Flower Farm, probably." I'm planting my chocolate flowers today and once they start blooming, I'll show you. 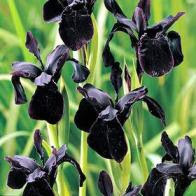 I really want these black irises from the farm -- but you can't buy them until 2010.